This 2010 machine is radically different than its predecessors. Why did Yamaha do this and what were the challenges that the engineers faced? 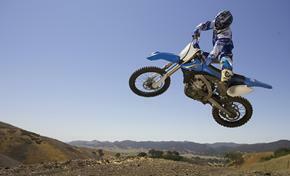 "Our main target was to improve cornering" said our motocross test rider. "Races are usually won or lost in the corners, so that's where our engineers focused on, and it's amazing how light this bike handles and how fast you can exit out of the corners!" Yamaha had this philosophy for years already, but having developed the previous layout to perfection, the only way to make a step forward again, was to think different and to re-engineer the whole layout of the machine. 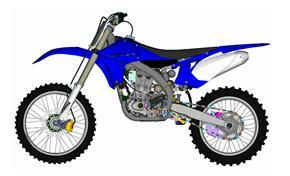 The most noticeable change in the 2010 YZ450F is clearly the new engine layout. 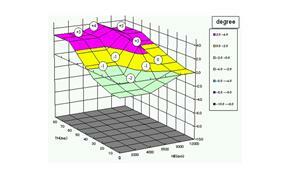 There are many advantages to this layout although it was not always easy to achieve. Our engineers and designers needed to solve the problems this type of engine presents and did this, using wonderful and creative solutions! The rearward slanting cylinder allows a steep and direct line from the airbox through the new throttle body and into the cylinder head. This is advantages allowing a smoother and easier flow of air. The airbox is placed forward and high-up out of the path of dirty air. Placing the airbox in front of the engine was what allowed Yamaha to centralise the position of the shock absorber creating better suspension performance and feedback. Another advantage of the rearward facing cylinder and forward airbox is the fuel tank is now more central and vertical; centralising the weight and reducing the effect of fuel movement whilst riding. The cylinder is off-set rearwards by 12mm further centralising the weight and reducing friction loss within the engine (more explanation lower down). This further centralises the mass of the engine resulting in a more manoeuvrable motorcycle that changes direction quicker and more accurately than a standard layout. One problem the engineers faced is the length of the exhaust pipe. A longer exhaust pipe is needed to keep good performance in mid range but the space between the engine and tail is simply not long enough. 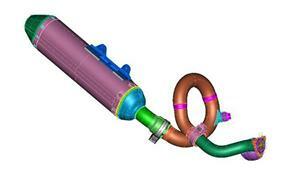 Yamaha’s engineers found a solution by looping the exhaust and creating a “Tornado” shape. 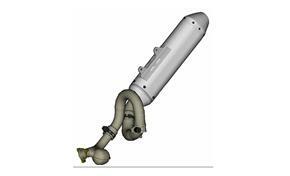 This increased the length of the pipe and together with the integrated resonator in the pipe, it allowed plenty of torque across a wide rpm range, whilst keeping a full length muffler to be fitted for noise control. 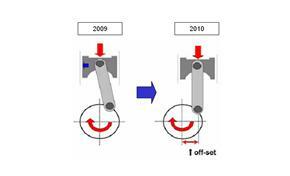 A very remarkable feature of the YZ450F is the off-set crank shaft. On a standard engine the cylinder is positioned central to the crankshaft. One effect of this is that on the power stroke of the engine the piston is pushed down and toward the edge of the cylinder (as the crank shaft rotates pushing the con rod out from 0 degrees to 90 degrees). A side-effect of this is increased friction (heat and effectively lost power) so the Yamaha engineers decided they would tackle this problem head-on. The cylinder on the YZ450F is off-set by 12mm (meaning instead of being centrally positioned to the crank shaft the cylinder is 12mm towards the rear of the bike past the central point of the crankshaft). This mean that on the power stroke the piston is already ‘off-centre’, as the crank shaft rotates the piston is not edged towards the face of the cylinder, the piston can travel down the cylinder easier – reducing the friction, heat and power loss. 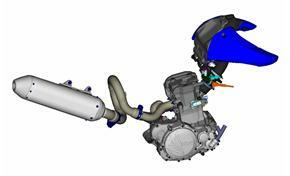 Yamaha have launched Fuel Injection on the new YZ450F, later than many competitors however the system Yamaha uses is extremely well set-up and very advanced. For example, the bike has no battery: all power comes from the current that is generated when the engine rotates. This is pretty impressive, especially considering you start the bike with minimum effort through the kick-start! The fuel injection system always precisely calculates and matches the required amount of fuel to intake air, automatically compensating for temperature or atmospheric pressure conditions. The 44mm throttle body features a 12-hole injector for fine fuel atomisation and powerful combustion. The system can be specially programmed to suit different riding styles or different terrain by using an accessory tuning tool. This allows the rider to plot his required characteristics into the motorcycle and really find the ultimate set-up between man and machine for specific track or weather conditions. 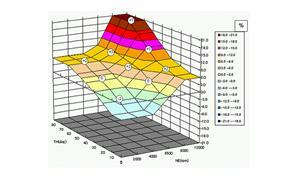 Two 3-D maps can be adjusted by the rider: the map for injection volume and the map for ignition timing. Each map has nine adjustable points: Three points across the rpm range and three for throttle opening give nine adjustable points in total. 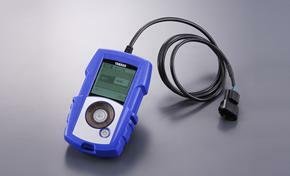 The adjustments can be done on the spot by the hand-held "Yamaha Power Tuner", so without having to bring a computer to the track! 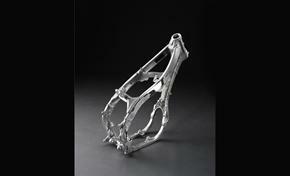 One of the major features of this new YZ450F is the frame. Made of 16 separate components, some die cast, some forged and some extruded to find the ultimate balance in stability, flex and shock absorption. These components are welded together and make up the central construction in providing feedback to the rider. Now the sideways shock’s that the bike experiences in use are smoothly converted into longitudinal motion that can be absorbed by the suspension and understood by the rider. The swing-arm looks similar to swing-arms used on previous models but is in fact very different. The rigidity has been altered to match the characteristics of the frame and the rear shock absorber linkage is now fitted 100% central (it was off-set on previous models) for optimum performance and rider feedback. 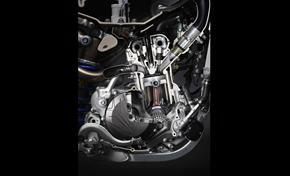 The suspension units at the front and the rear are new and of course, optimised for the 2010 YZ450F. The shock absorber has been repositioned for better feeling and absorption and the forks have a longer stroke (+10mm). The feeling that the rider can expect through the forks is greatly improved when entering corners – especially entering tight corners whilst under hard braking conditions. This was important to our test riders who wanted to provide the best possible chance to overtake and win races to our riders. Yamaha’s unrivalled approach to motorcycle development and design has once again achieved groundbreaking results. 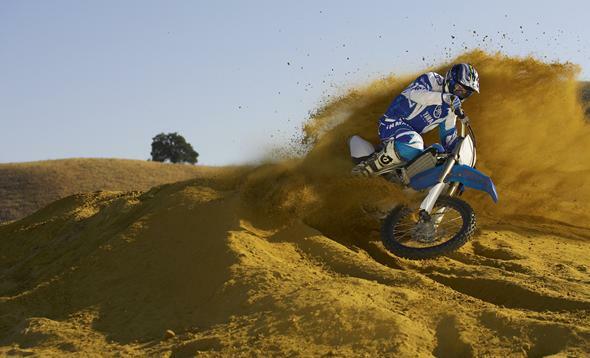 The new model is proven in testing to out-perform the 2009 YZ450F and other competitor models, the improvements are easy to feel when riding and the physical exhaustion after riding is far less – even when lapping faster. 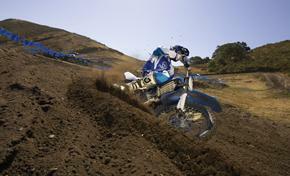 The YZ450F is fully expected to win races quickly in the right hands!